It’s a bird! It’s a plane! It’s Superman!. . . Actually, it’s just a plane. Better yet, that plane is part of the US Military aircraft flown and operated by the United States. The United States boasts a strong fleet of military aircraft that is accompanied by a rich history. In the year 2015, reports show that the U.S. had an impressive 13,000 military aircraft under its belt, far more than any other country in the world, with Russia and China following up with about 2,000 – 3,000 military aircraft each. This staggering advantage sets the United States apart in the world of military flight. The first plane ever used by any military in the world was sold to the United States Army for $30,000 in 1909, which would come to about $798,886 today. It was invented and manufactured by the Wright Brothers themselves, the original inventors of the airplane. Orville and Wilbur were first contracted with the U.S. military in 1905, but after a few failed attempts with the flight requirements and bad experiences with other would-be aircraft inventors, the Army lost interest in pursuing a contract with the Wright Brothers. It wasn’t until four years later, in 1909, that the Army’s interest peaked again, and they renewed the agreement. The brothers returned with their plane, passed the Army’s flight test with all its requirements, and created the world’s first military aircraft—the Wright Military Flyer. With that, worldwide military aircraft history began. Since its humble beginnings in 1909 with a plane whose high speed barely topped 40 miles per hour, the aircraft dominion of the U.S. Military has expanded significantly and has become far more complex. Now all branches of the U.S. military utilize different types of aircraft, from the Army to the Air Force. The aircraft vary from type to type and include helicopters, jets, propellers, UAVs (unmanned aerial vehicles), and powered lifts. Each individual aircraft has its own function and use, from cargo planes to bombers to surveillance vehicles. The ability to fly and fight simultaneously has greatly influenced and expanded the nature of national defense and warfare operations. Of all five branches of the military, the Air Force is both the youngest and most heavily steeped in aircraft. The Air Force was organized as a separate service on September 18, 1947, following President Truman’s signing of the National Security Act of 1947. After almost 70 years of service, the Air Force’s motto, “The sky was never the limit,” still succinctly defines their vision. Their basic goal is to defend the country through the air, and they are able to do this with their fleet of U.S. military aircraft. With approximately 65 different makes and models, the current number of aircraft in the Air Force is unprecedented. The oldest make of aircraft that is still in use by the Air Force is the B-52H Stratofortress, a bomber introduced in the year 1955 by Boeing. The Air Force also employs new makes and designs as often as possible, the most recent venture being the HC-130 Combat King, a search and rescue aircraft that is still in production. Only two or three planes exist in some models, such as the VC-25A Air Force One, a VIP transport jet. Others, such as the F-16 Fighting Falcon, exist in the hundreds (there are currently 957 of these planes in use). Each aircraft is essential to the mission of the Air Force and of every U.S. military service. Here at Low VA Rates, we hold a deep respect for all branches of the military, and we appreciate the service provided by each and every member involved. Whether you were a member of the Marine Corps or a pilot in the Air Force, we honor and thank you for your sacrifice in defense of our country. We are here to help you live your life honorably, as a reflection of the service you have rendered. 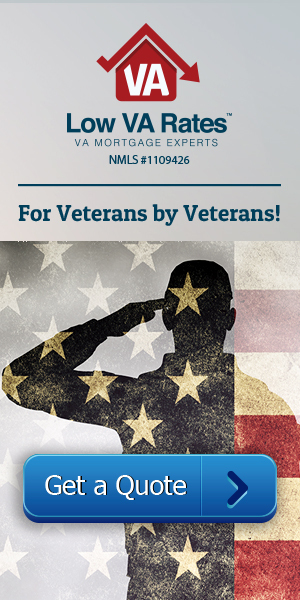 Visit Low VA Rates today to find out what financial options are available to enable you to carry out the life you deserve.